Lock in a great price for Historic Hotel Steinbock – rated 8.2 by recent guests! good and friendly staff good location lovely place to visit. we enjoyed our vacation. 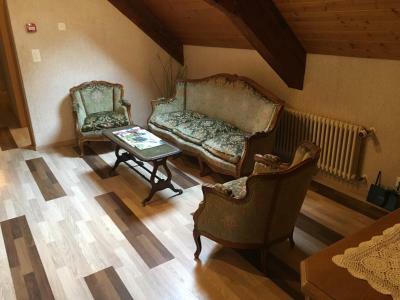 Location is very close to Wilderswil train station. Good breakfast, especially delicious Croissants. Friendly staffs. The hotel is in a peaceful location. The room was cosy and warm and the bed comfortable. The staff was very friendly and polite. Delicious breakfast with excellent fresh bread. Had a range of international adaptors. Provided us with a useful tourist free local travel card. The host was wonderful. Great breakfast. Comfortable bed. And close to the train station. We loved everything about the hotel, especially the lady who was in the evening who made our trip extra special with her charm, genuine care and affection. The breakfast was decent, everything you would need. 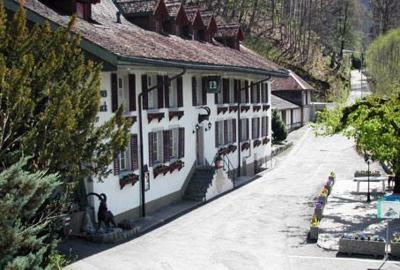 Wilderswil is only a stop away from Interlaken and the hotel is in a medieval countryside setting, simply spectacular! Lovely location next to a river. Walking distance from the train station. We stayed in the honeymoon suite which was spacious and has a sweet balcony. WiFi in the room and dining room was very good. When the windows are closed the room is very quiet. The frontdesk lady (Renata) is very lovely, hospitable and helpful. Plenty of free parking surrounding the hotel. Very nice (but basic) breakfast. Historic Hotel Steinbock This rating is a reflection of how the property compares to the industry standard when it comes to price, facilities and services available. It's based on a self-evaluation by the property. Use this rating to help choose your stay! The Gasthaus Steinbock in Gsteig is located 650 feet from the Wilderswil train station close to Interlaken and offers views of a historic church and a covered wooden bridge. All rooms are equipped with bath or shower, a toilet and a flat-screen satellite TV with DVD player. The Gasthaus Steinbock is a good base for excursion to the Jungfrau Region and the Bernese Oberland. You can park your car for free on site. When would you like to stay at Historic Hotel Steinbock? Room with attached bathroom with a flat-screen satellite TV and DVD player. This double room has a balcony, flat-screen TV and mountain view. Please note that this room is oriented towards a church. Guests will hear the bells ring several times a day. House Rules Historic Hotel Steinbock takes special requests – add in the next step! Historic Hotel Steinbock accepts these cards and reserves the right to temporarily hold an amount prior to arrival. Please note that for guests arriving outside the official check-in hours, an intercom is on the side door of the hotel. Please press the button on the intercom and you get directly connected to the hotel owner who will check you in remotely. The management was not freindly. Renata is the hotel staff, she is very very friendly and kindhearted. I really enjoyed the view around this hotel, it only took 5 minutes walking to the Wilderswill Station. They give us a card to take a free transportation around Interlaken which is you can choose to take a bus or train. It’s awesome! The double bed mattress is in 2 parts so there is gap in between the bed and it moves while sleeping.. Soo it might be a little trouble for new couples.. Otherwise it's fine..
Quiet rooms, beautiful view from the window.. The room was cold, had to ask for radiator to be adjusted instead was given blanket. We decided to stay another night in Munich but did not want the hassle of booking another hotel so we asked for extension and rate for additional day was increased by €10 which was higher than our original rate when hotel was not full/busy and for new rate we could get better accommodation elsewhere. Anyway we stayed because we were already tired but would never recommend this hotel ever. The building and location are very nice. The location is really cute and quiet. the church rings every quarter it could be annoying to some people but I slept through it. 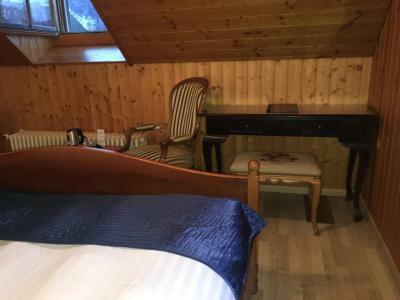 Nice wooden room with great view of mountains and river. Near train station. The place is amazing! Very quiet area. One can admire stars at night when the sky is clear, light pollution is low. It's very close to Wilderswil train station, so public transport is not a problem. 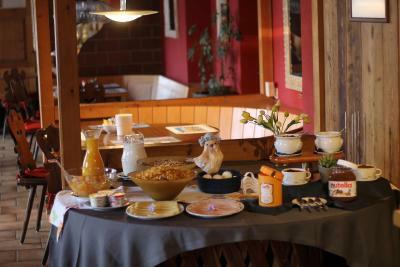 The breakfast was so good, I want to come back for more :) Croissants were fresh from the oven, delicious! And I really loved that armchair in the room! Unfortunately, there was only breakfast available, but no further food. But I was ok with this beca6 there were several good restaurants and bars doing good close by. The coffee was perfect.!! The lady managing was very helpful and friendly, with good professional manners and provided great customer service. The hotel was right beside a lovely river, with an old traditional bridge across it. Also next to a very nice church and there was a mountain just behind the hotel, with a footpath straight from the hotelit was within 5 minutes walk of the railway station, with quick and easy access to both Interlaken town and the mountains. The coffee was the best of all my locations in Switzerland. The lady who is managing the guesthouse was very friendly, helpful and gave very good customer service. The hotel is in a really perfect location: right beside a river, with an old-fashioned covered bridge within 30m. Also next to a lovely old church with a very nice clock and bell tower, like a mini big Ben. Right behind the hotel is a mountain, which is easily accessible via the footpath, which is right beside the hotel. I hiked up the track until the snow became too deep to continue. The location is perfect. Quiet, beautiful, but with the station and a very reasonably priced supermarket, very near. I would highly recommend this hotel. It was very cold. The room heater could have better. Service was spectacular. Everyone went out of their way to help and make us feel welcome. Our room had gorgeous views and a ton of character. Price to value ratio, especially for Switzerland, was awesome! Would have liked a hair dryer as well as a full size duvet rather then two individual ones. Very comfortable and home like feeling.